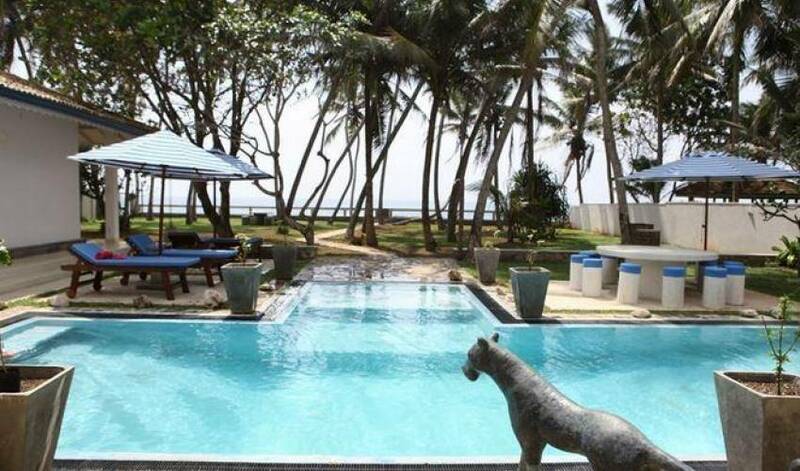 A fantastic villa overlooking a golden strip of sand on Sri Lanka’s famed southern coast, Villa 1315 is a contemporary four-bedroom beach pad, 8km from Galle, with enviable ocean views. 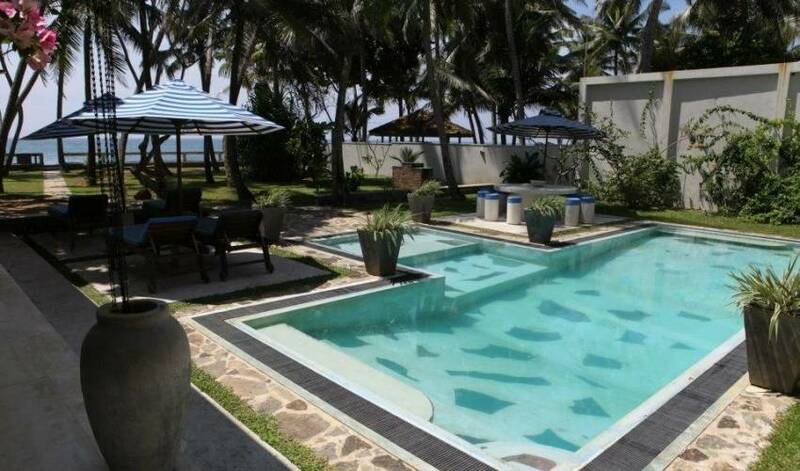 Tranquil and private, this exclusive holiday home is fully staffed and features a swimming pool, a big palm-shaded tropical garden, an excellent kitchen, a plush poolside pergola and plenty of cushion-plumped living and dining spots for whiling away hours of the day. 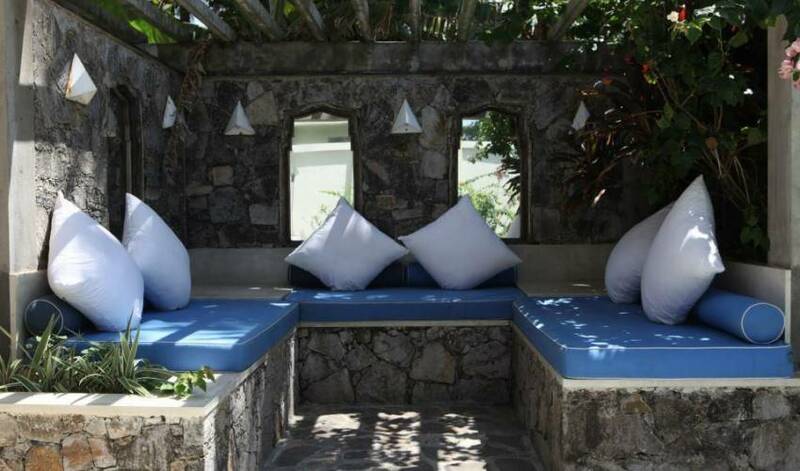 Replace the hustle and bustle of everyday life with the relaxed, easy tropical vibe of the villa as you’re wined and dined in complete privacy by your own team of staff beside a warm tropical sea. 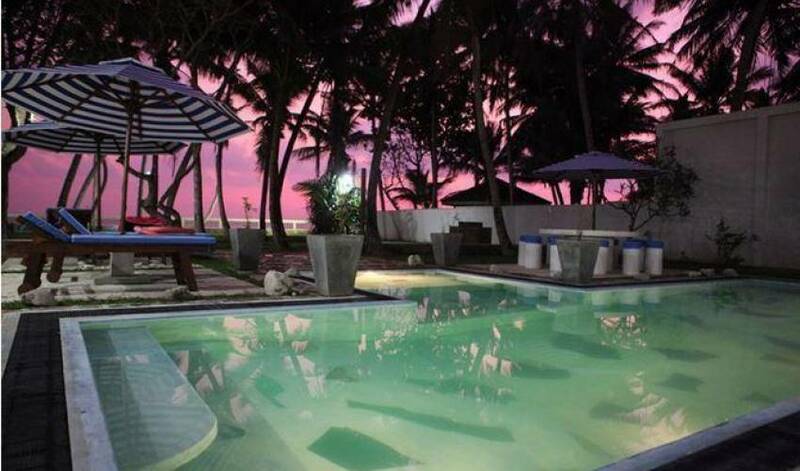 Galle and its famous Dutch Fort are only a fifteen-minute drive from the house, restaurants are within walking distance and there are many exciting attractions in the surrounding area. 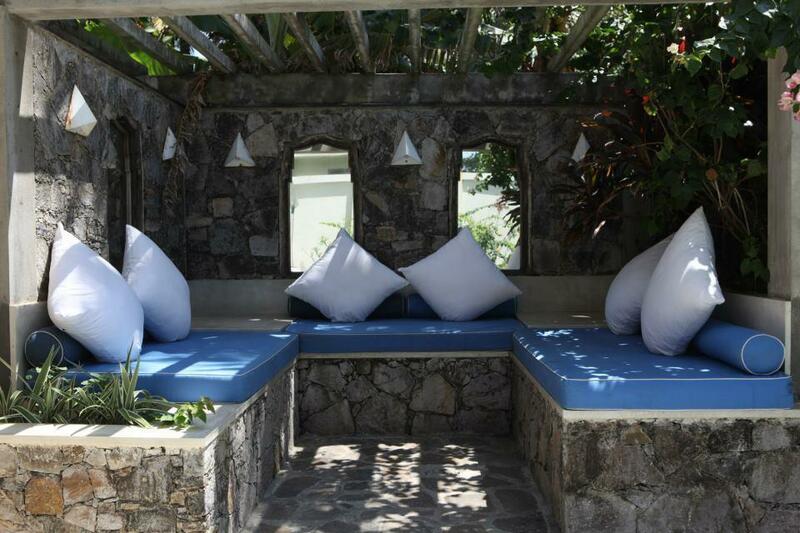 The villa offers four ensuite bedrooms, named after vibrant tropical hues. Each comes with a handmade four-poster bed dressed in soft cotton linen, built-in storage space, a table and chairs and an ensuite bathroom with a hot water rain shower. Blackout blinds in the bedrooms can be rolled down behind the curtains to enable extra long lie-ins or restful daytime snoozes whilst air conditioning units and ceiling fans keep you cool. Windows open widely onto striking views of the garden and the deep blue ship-topped sea. Lounging and dining spots abound. On the ground floor is an expansive open plan living room with cool terrazzo floors and multiple sets of folding doors onto a sun-drenched pool terrace. Views of the garden and sea unfold generously whilst high louvered windows and ceiling fans keep the interiors breezy and cool. Vibrant modern artwork from Sri Lanka and across Asia adorns the walls. The living room is elegantly furnished with four cushion-topped day beds in lime and pink, a relaxing recessed lounge in bright orange and a dining table for ten ringed by all-weather rattan chairs topped with technicolour cushions. To one corner of the living room is a timber cabinet, which conceals a flat screen TV with cable channels plus surround sound speakers and a DVD player. Of particular interest in this room is the three-legged dining table, a former leaf rolling machine dating back over 100 years that would once have enjoyed pride of place in an upcountry tea factory. You can dine from the glass top whilst looking down on the antique wooden ‘blades’ below. Other notable antiques in the room include a brass-embossed Jaffna cabinet and an oversized Dutch chest. Soaking up the sun just footsteps beyond the ground floor of the house is the swimming pool. Pieces of glass artily moulded into the blue cement inject a sense of fun whilst a bronze sculpture of a panther looks on. The shallow entry section suits little paddlers whilst long ledges to either side are designed for lounging. 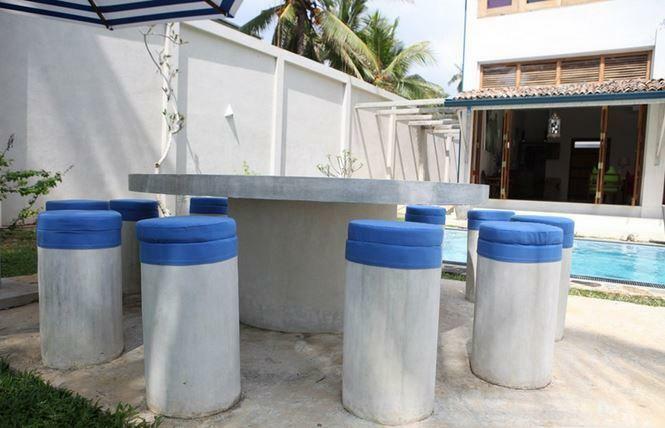 Terracing and soft grass encircles the pool, beside which are sunbeds and a circular cement dining table for relaxed alfresco dining. 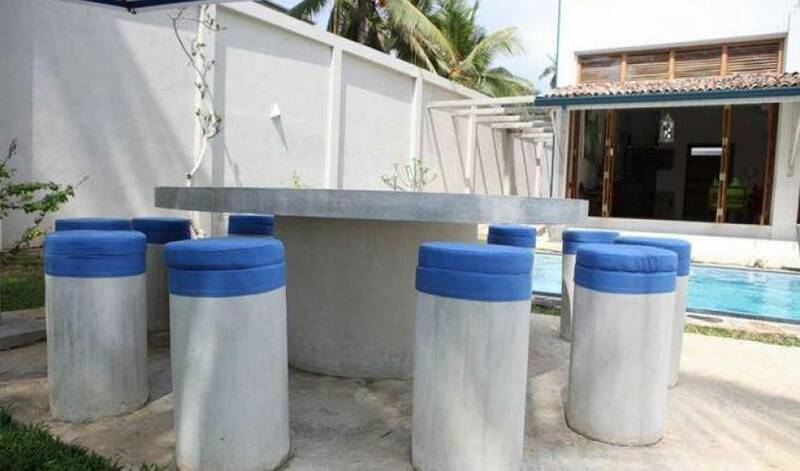 There’s also a built-in brick BBQ, and a granite C-shaped lounge under a bougainvillea-draped pergola roof. Topped with all-weather cushions, this is a magical place to be at sunset. 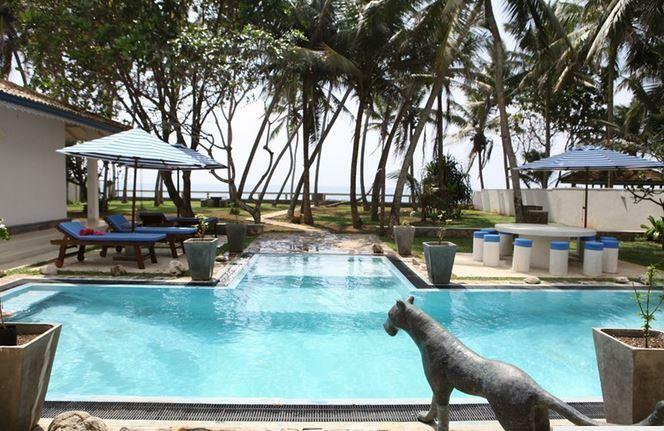 Situated on the southern coast of Sri Lanka, Villa 1315 is set right beside the sea with striking panoramic views over the Indian Ocean. 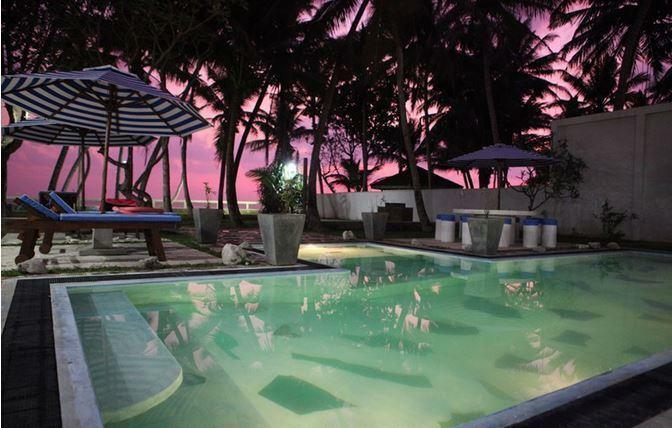 The house is within walking distance to a tranquil coastal lagoon that offers safe swimming throughout the year along with a clutch of good restaurants with bars. 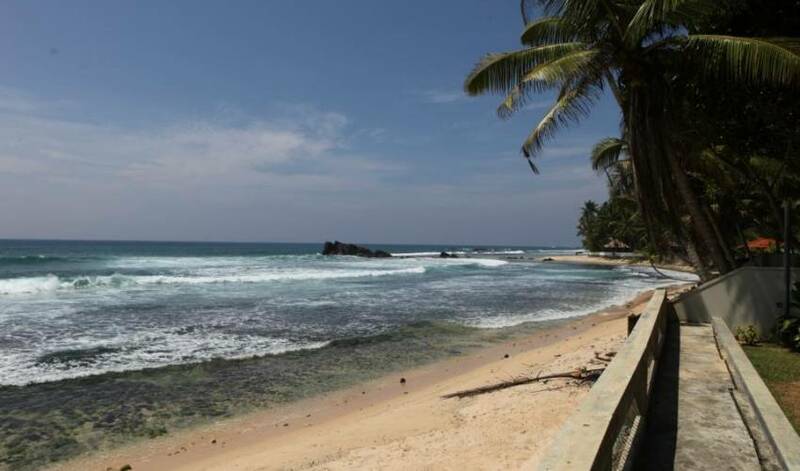 Further wining and dining options may be conveniently explored a few kilometres further east at Talpe (2km), Habaraduwa (4km) and Koggala (6km), or further west at the lively bay of Unawatuna (3km) or in the heritage town of Galle (8km). 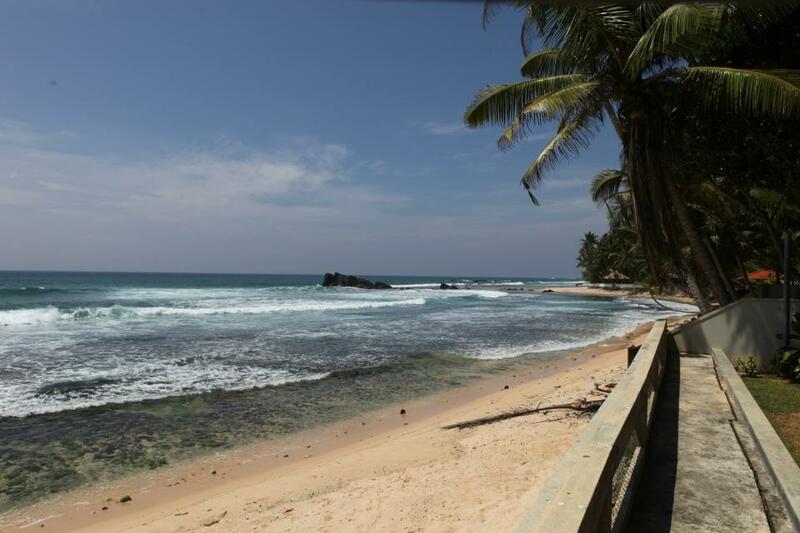 The Galle region proffers many attractions and activities. Particular highlights include late afternoon strolls of the UNESCO heritage Galle Fort (bursting with great cafes, shops and restaurants), whale and dolphin-watching voyages from Mirissa (November to April), tours of an inland tea estate and factory in Tittigala and adventures into the emerald backwaters of Galle’s hinterland by bicycle. The region is popular with both surfers and divers, and there are also some fabulous old Buddhist temples to be visited. Examples of exciting day trips from Mihiri Beach House include to pristine rainforests and wildlife-filled national parks. The house comes with a wonderful staff team of four (plus friendly dog) to look after you during your stay. 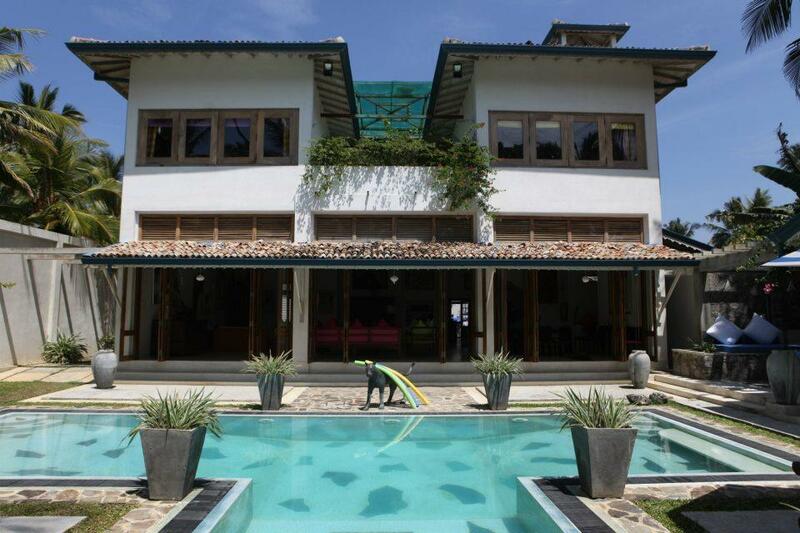 Headed by Suranga, our villa manager, they keep the house clean and tidy, maintain the garden and pool, shop for provisions and secure the house. Our full time chef Janaka will take care of all your culinary requirements. He loves sharing his local recipes, so if you fancy a lesson in Sri Lankan cuisine, he’ll happily show you how it’s done. A trip to the local market to see the range of fresh produce on display is an integral part of the experience and loads of fun! 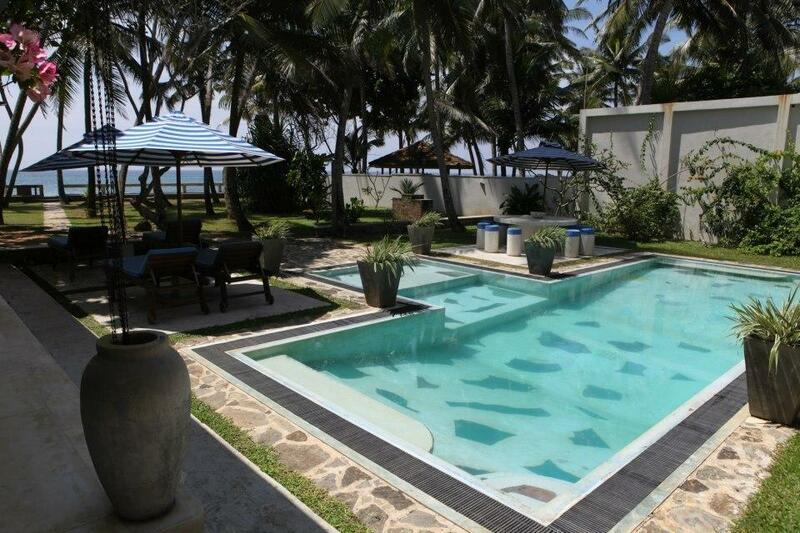 Guests may also self cater, and all provisions are charged at cost.